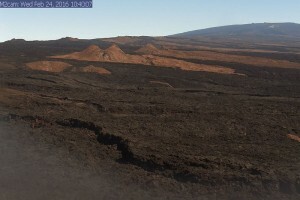 One of the new tools deployed by the USGS Hawaiian Volcano Observatory to better monitor the current unrest on Mauna Loa is a webcam focused on the volcano’s Southwest Rift Zone, which has been the site of eruptions in 1903, 1916, 1919, 1926, and 1950. USGS image. Despite not being in the headlines, Mauna Loa continues to be in a state of unrest based on seismic and deformation monitoring data. The USGS Hawaiian Volcano Observatory’s improved seismic network began to detect increasingly frequent, small earthquakes on Mauna Loa as early as 2013. Renewed inflation of the volcano was detected by HVO’s GPS network and also with Interferometric Synthetic Aperture Radar (InSAR) in 2014. Based on the elevated rates of earthquakes and persistent inflation, the Volcano Alert Level for Mauna Loa was elevated from Normal to Advisory on September 15, 2015. According to the USGS Alert-Notification System for Volcanic Activity, an Advisory level indicates that the volcano is showing signs of unrest above known background levels, but does not mean that an eruption certain. Another period of Mauna Loa unrest in 2004–2005 included inflation and anomalous seismicity, but did not result in an eruption. Mauna Loa, the largest active volcano in the world, has erupted 33 times since 1843. These eruptions occurred within the volcano’s summit caldera (Mokuʻāweoweo), along one of its two rift zones (Northeast and Southwest), or from radial vents located on the north and west flanks of the volcano. All historical eruptions started at the summit of Mauna Loa and then either remained in the summit area or migrated down one of the rift zones. Of the 33 eruptions, about half remained within the summit area and about half moved down a rift zone. Mauna Loa’s two most recent eruptions occurred in 1975 (summit) and 1984 (summit and Northeast Rift Zone). Both eruptions were preceded by at least a year of elevated seismicity. Satellite technology was not as advanced then, so there are no GPS or InSAR records for either of these eruptions. The current locus of inflation and earthquakes is within the uppermost parts of Mauna Loa’s Southwest Rift Zone and the southern summit area. However, should an eruption occur, it is not clear if it would remain in the summit or move into one of the volcano’s rift zones. The risk to communities downhill of a Mauna Loa eruption depends on where the eruption occurs and if, and how far, erupting fissures migrate down a rift zone. As is often the case during volcanic unrest around the world, the current activity at Mauna Loa has not followed a steady, predictable trend. Overall, earthquake rates remain above normal background levels. But, a closer look at the seismic record reveals that earthquakes have occurred at higher rates for weeks to months, separated by quieter periods of a week or so. This crude episodic pattern may point to an unsteady influx of magma into the inflating area southwest of the summit caldera, with more magma intruding during times of higher earthquake rates. An interesting change in the current unrest began in the fall of 2015, when, according to InSAR and GPS measurements, the main source of inflation on Mauna Loa moved from beneath the summit caldera to an area slightly farther southwest on the volcano. Along with this change in deformation, earthquakes beneath the summit caldera ceased. Currently, most of the earthquakes occurring on Mauna Loa are within the volcano’s uppermost Southwest Rift Zone region. As you can see, unrest at Mauna Loa is not following a simple script. This is why, at this point in time, it is not possible to forecast with certainty if or when the volcano will erupt as a result of this unrest. The Hawaiian Volcano Observatory continues to closely monitor Mauna Loa and is developing new tools to help our response to an eruption—should one occur. Observing and recording this current episode of Mauna Loa unrest—however it ends—helps us learn more about the magma plumbing systems of Hawaiian volcanoes and improves our ability to interpret future escalations of volcanic activity. Kīlauea continues to erupt at its summit and East Rift Zone. During the past week, the summit lava lake level varied between about 30 and 56 m (100–185 ft) below the vent rim within Halema‘uma‘u Crater. On the East Rift Zone, scattered lava flow activity remains within about 6 km (4 mi) of Puʻu ʻŌʻō and is not currently threatening nearby communities. 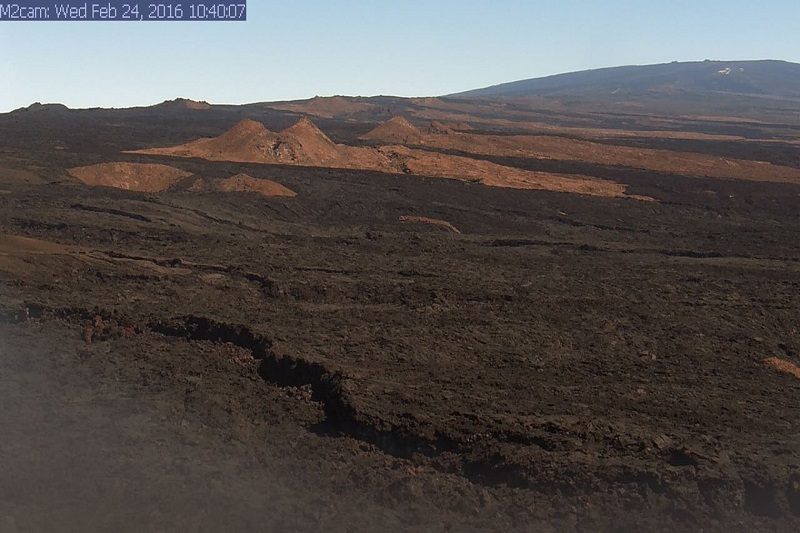 Mauna Loa is not erupting. Seismicity remains elevated above long-term background levels, with earthquakes continuing to occur mostly beneath the volcano’s upper Southwest Rift Zone and southern caldera region at depths of less than 5 km (3 mi). Deformation related to inflation of a magma reservoir beneath the summit and upper Southwest Rift Zone of Mauna Loa, with inflation recently occurring mainly in the southwestern part of the magma storage complex, continues. 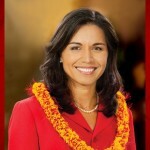 Two earthquakes were reported felt on the Island of Hawai‘i in the past week. On Wednesday, February 24, 2016, at 6:00 p.m., HST, a magnitude-3.7 earthquake occurred 3.8 km (2.4 mi) west of Kīlauea summit at a depth of 6.6 km (4.1 mi). On Friday, February 19, 2016, at 10:41 a.m., HST, a magnitude-2.8 earthquake occurred 3.9 km (2.4 mi) south of Kīlauea summit at a depth of 2.5 km (1.5 mi).